Schreiner Group, an international leader in functional labels, has named Porex the 2017 Performer of the Year. 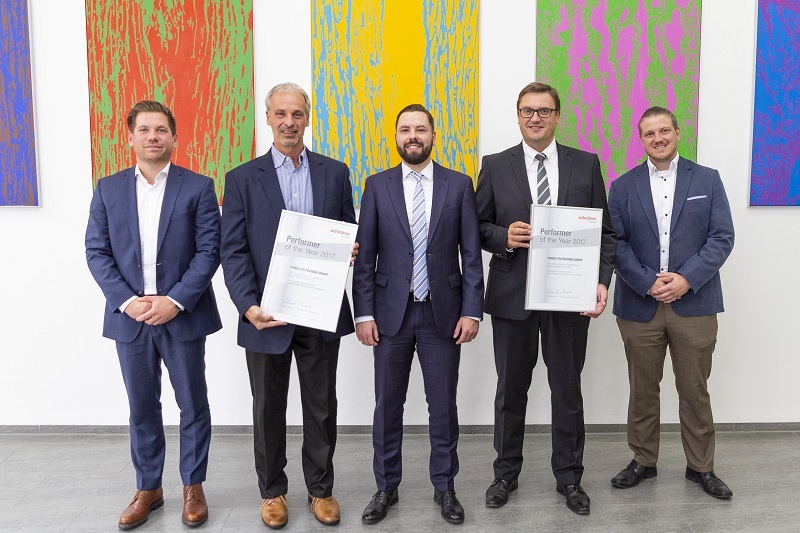 Out of Schreiner’s approximately 200 suppliers, Porex was selected for this honor due to its outstanding quality development and exceptional supplier rating. “The partnership with Porex has grown significantly over the years, and we are glad to recognize them as one of our most trusted suppliers,” said Andreas Kudela, Strategic Purchasing for Schreiner Group. Schreiner has been a valued Porex customer for more than a decade and in recent years has become an important partner in innovation. In the years Schreiner has been awarding a Performer of the Year, Porex has received the second highest overall Supplier Score ever. The Supplier Score is calculated using four key categories: quality, logistics, cooperation and costs. Schreiner Group specializes in the development and manufacture of functional labels and labeling solutions for a wide variety of industries. The company employs more than 1,000 people around the globe, generating annual sales of more than 170 million euros, and is headquartered in Oberschleissheim near Munich (Germany). At POREX®, we take pride in our 50 years of history and innovations to deliver optimal solutions for our customers. We go to great lengths to provide a comprehensive, collaborative engineering partnership with our customers. We offer high-value porous solutions across functions such as absorbing, applying, diffusing, filtering, venting and wicking that enable our customers to bring new ideas to life. With our unmatched experience, stringent regulatory and quality standards, extensive global footprint, and clean manufacturing practices, we partner with leading companies to create a safer, healthier, and more productive world. Visit POREX® at www.porex.com.